As a full service freight forwarder and customs broker, our reach is global, with no geographical restrictions. Domestically, only the most reliable truckers and warehouses comprise our service network. Internationally, these same quality services are mirrored by our strategically located agents. Our clients also benefit from the close relationships we have with carriers in all trade lanes. These connections mean your cargo is routed in the most efficient and cost-effective way. Whether your goal is to minimize freight costs or meet seemingly “impossible deadlines, our goal is to meet or exceed your expectations. 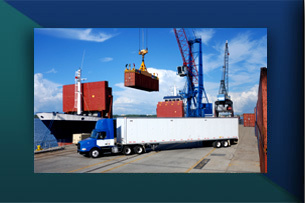 When you choose Magellan, we become your one-stop point of contact, handling all interface with truckers, railroads, warehouses, steamship lines and government authorities. Our job is to make your job easier. What sets Magellan Shipping apart from the competition is our global network of trusted agents, strategically located to best serve our clients, no matter where their cargo is going. Ocean freight is far and away the most cost effective method for moving goods between continents. We offer ocean freight solutions for shipments of a few pallets to hundreds of containers, whether serving as your freight forwarder or in conjunction with our in house NVOCC, Magellan Maritime Ltd., so that you benefit from economies of scale. For time critical situations we will arrange air freight. This transport mode will move goods in a fraction of the transit time of ocean freight but, as a rule, at a cost of several multiples per unit.